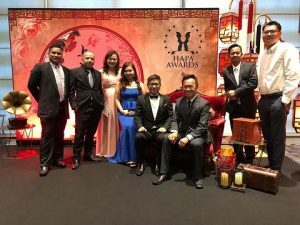 Asian Golf Industry Federation (AGIF) Golf Course Facility Members have featured prominently at recent award ceremonies. At the 2018 World Golf Awards at La Manga Club in Spain, four AGIF member clubs were honoured as Best Course in their respective countries. The East Course at The Hong Kong Jockey Club Kau Sai Chau Public Course (Hong Kong), Kota Permai Golf & Country Club (Malaysia), the Serapong Course at Sentosa Golf Club (Singapore) and Amata Spring Country Club (Thailand) all topped the standings in their country categories. Portugal emerged as one of the big winners, collecting trophies for both ‘World’s Best Golf Destination’ and ‘Europe’s Best Golf Destination’. St Andrews Links (Old Course) in Scotland scooped the award for ‘World’s Best Golf Course’, while The Belfry in England was recognised as ‘World’s Best Golf Hotel’. The World Golf Awards are voted for by leading golf tourism professionals as well as hundreds of thousands of golf consumers worldwide, serving to recognise and celebrate commitment to excellence in golf tourism. For Kota Permai, it was the fourth World Golf Awards crown with the first bestowed in 2014. Kota Permai was also named Best Golf Course in Malaysia in the Asian Golf Awards. 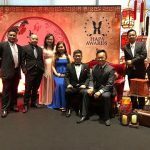 Further kudos came at the Hospitality Asia Platinum Awards where Kota Permai was named a benchmark achiever and its sister club, Horizon Hills, was awarded the prize for most outstanding in HAPA’s Golf Club of the Year category. Meanwhile, TPC Kuala Lumpur was named Best Championship Course in Asia Pacific in the Asian Golf Awards. Since becoming part of the TPC Network, TPC Kuala Lumpur has made it into the Top-100 World’s Greatest Golf Courses, Top-100 Platinum Golf and Country Clubs of the World and Top-100 Golf Courses in Asia.